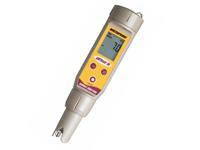 Economical testers for the determination of pH, temperature, conductivity, salinity and redox potential (ORP). 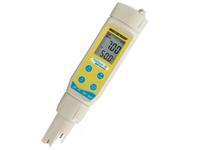 Waterproof testers for industrial applications, aquaculture, swimming pools etc. Waterproof testers for the measurement of electrical conductivity in applications like water and waste water treatment, aquaculture, hydroponics, etc. 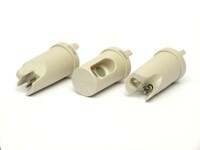 Waterproof testers for the measurement of total dissolved solids (TDS). Waterproof testers for redox measurements in industrial applications like electroplating, swimming pools, pulp bleaching, cooling towers and general disinfection. 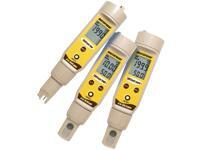 Waterproof testers for pH, conductivity, TDS and salinity measurements. 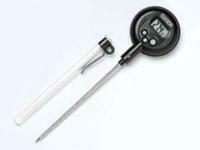 An economical and non-toxic alternative to the mercury thermometer. 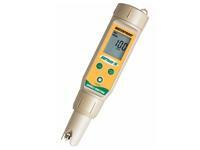 For pH, conductivity, TDS and multiparameter pocket testers.